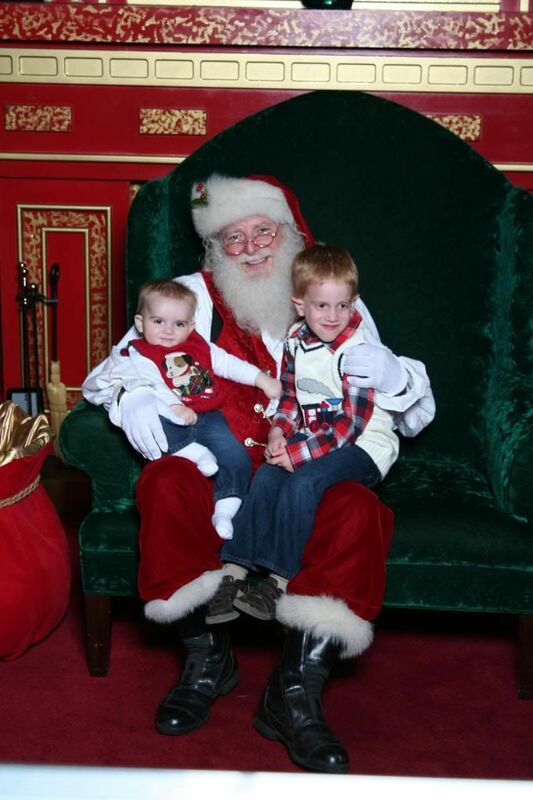 Of course, we had to pay our favorite jolly ol' man a visit this year so the boys could whisper what they want this year. Evan was prepared with his list: a Wii and some batteries (for all those electronic toys we can never keep batteries in). I suppose a year's supply isn't too much to ask for, right? Hehe! 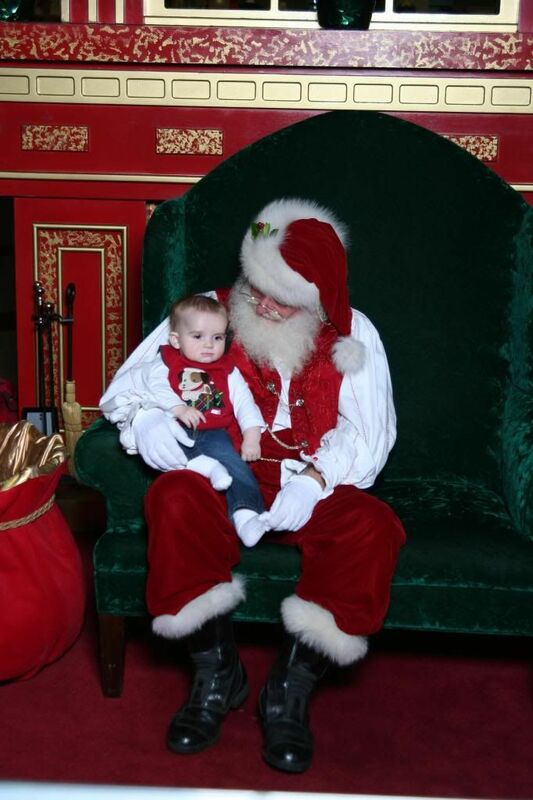 Brody enjoyed his first meeting with our dear ol' Santa (yes, he was the same one we always visit)...the one and only real one, of course. (*wink*) Although Brody didn't pull his beard as his big brother did at his own first meeting, Brody seemed content to sit on the big guy's lap and be read a story. Brody and Santa do have something in common -- they are both pretty jolly! 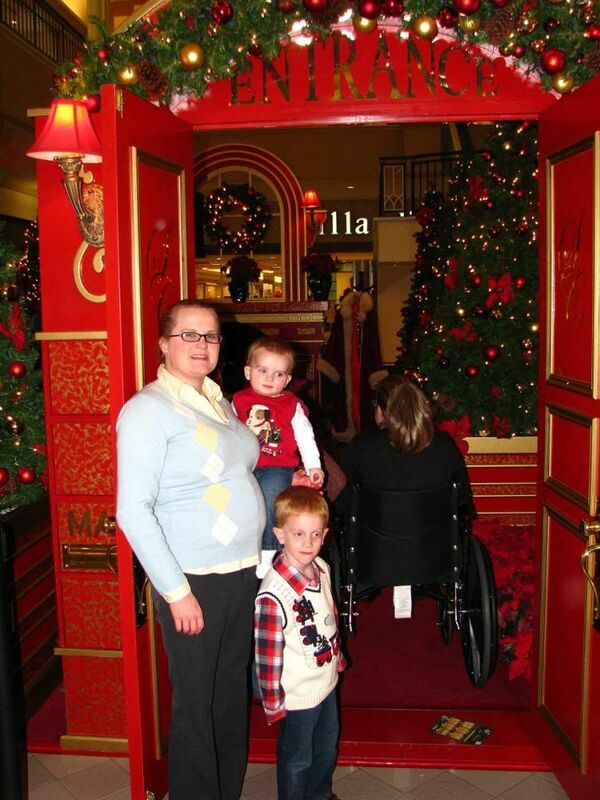 Waiting at the door for Santa. Big brother shows Brody what to do. 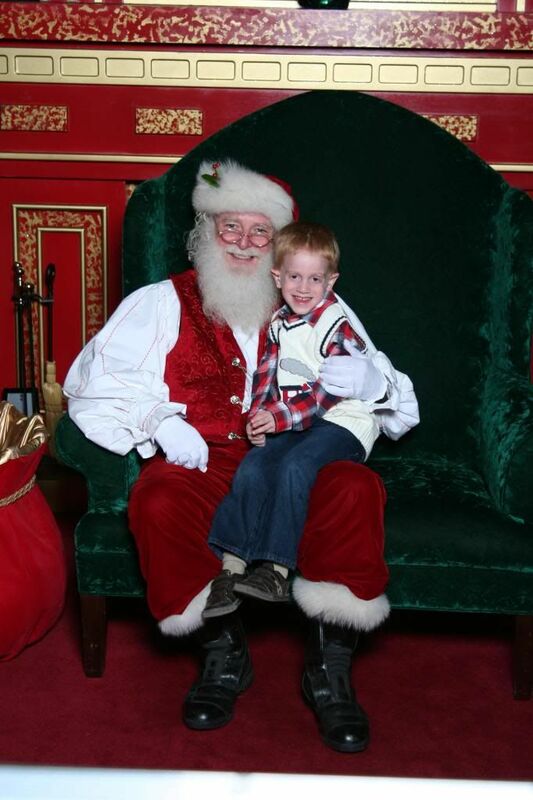 Santa seems to like this little guy. 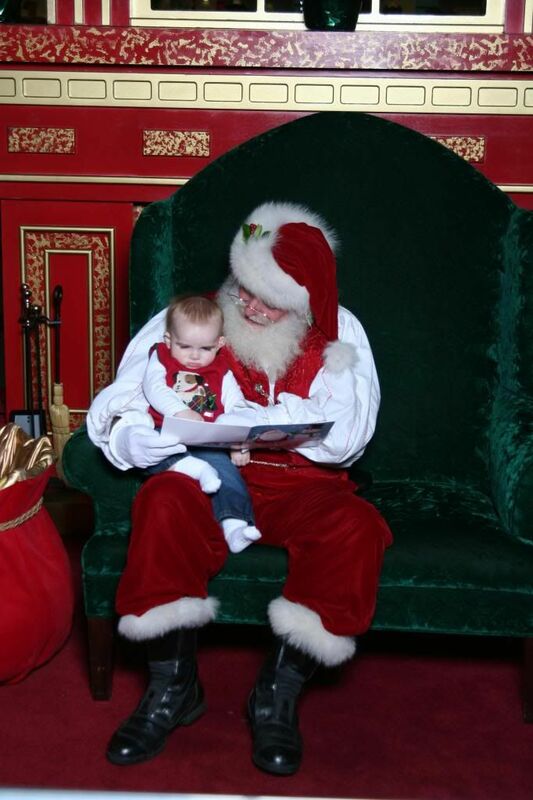 Santa reads Brody a story. 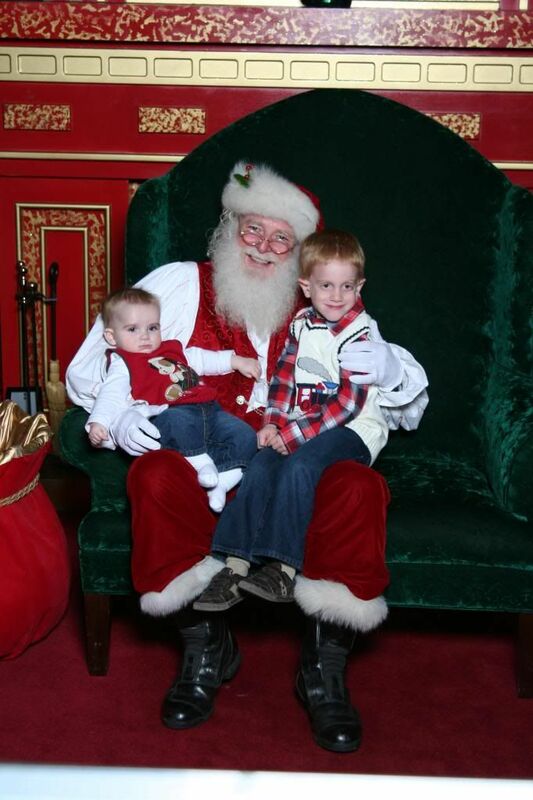 Our boys share Santa's lap!